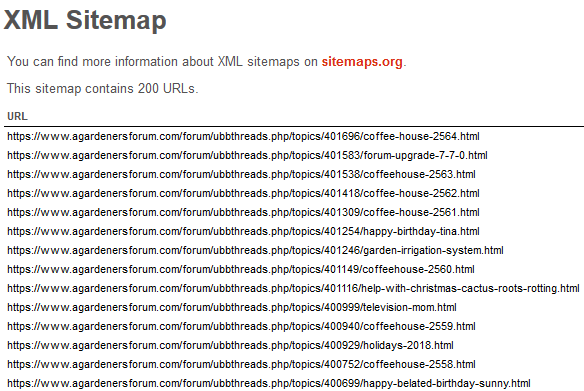 Below you can find various paid services available for the UBB.Sitemaps addon. Updates to UBB.Sitemaps are provided for free for one year after the purchase date; you may renew from the options below. If you'd like to purchase the standalone UBB.Sitemaps script (with no install services), please click the "Buy Now" button. Please be sure to include your domain name in the supplied notation box. If you'd like to purchase the standalone UBB.Sitemaps script (with no install services), please click the "Buy Now" button. In order to provide installation services we require full FTP access to your site (as the sitemap needs to be at the web root), please include your domain name and FTP details in the supplied notation box below. If you've previously purchased the standalone UBB.Sitemaps script and would like installation services, please click the below "Buy Now" button. In order to provide installation services we require full FTP access to your site (as the sitemap needs to be at the web root), please include your domain name and FTP details in the supplied notation box below. If you've previously purchased the UBB.Sitemaps script and would like to renew your access to script updates, please click the below "Buy Now" button. Please be sure to include your domain name in the supplied notation box. If you've previously purchased the UBB.Sitemaps script, would like to renew your access to script updates, and have it installed; please click the below "Buy Now" button. Please be sure to include your domain name in the supplied notation box.